Barbara Odom Smith of Gainesville passed away Wednesday October 31, 2018 at the Northeast Georgia Medical Center. Born in Greenville, South Carolina, Mrs. Smith had lived in Hall County since 1956. She was a retired secretary having worked for the Gainesville First United Methodist Church and also at Central Baptist Church. 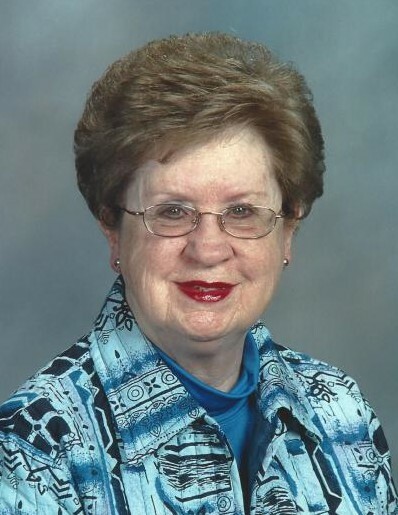 She was an active member of Lakewood Baptist Church, Dedicated Homemakers Sunday School Class and the Golden Nuggets. Survivors include her son and daughter-in-law, Russ and Janene Smith, Gainesville; grandson and wife, Nicholas and Lauren Smith, Gainesville; granddaughter and husband, Kimberly and Tyler Roberts, Braselton; brother-in-law, Walter Smith, Gainesville; brother-in-law and sister-in-law, Aubrey and Barbara Smith, Gainesville; sister-in-law and brother-in-law, Micki and Tony Walker, Gainesville. A number of nieces and nephews also survive. Mrs. Smith is preceded in death by her parents, Thomas Eugene and Nellie Bagwell Odom, and her husband, Verla Smith. Funeral services will be held at 12:00 p.m. Saturday November 3, 2018 in the chapel of Little & Davenport Funeral Home. Dr. Jerry Gill and Bill Risinger will officiate. Interment will follow in the Alta Vista Cemetery. The family will receive friends at the funeral home Saturday November 3 from 10:00 a.m. until the funeral hour.